As you are reading this I am spending the weekend at the beach with my family. It's COLD! Lol! But we are still having fun! It's time for another runner spotlight! If you're interested in being spotlighted please email me at mindy@roadrunnergirl.com! I'd love to spotlight you! 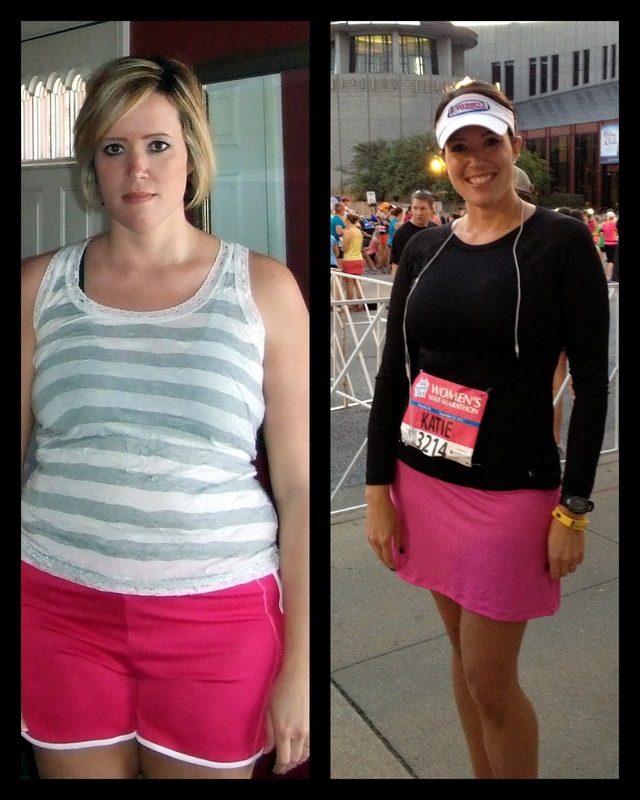 Today I am spotlighting Katie at From Ice Cream to Marathon! I just love the name of her blog!!! Katie just got back from a cruise! You MUST see her pictures...gorgeous! Keep reading to learn more about Katie! marathon, so that may become a new favorite soon! I lay out my clothes the night before, wake up, eat a banana and head out early! My iPod! I've had to run a couple times without my music and time seems to go on forever! Music helps me get lost in my running and enjoy it even more! I have lost 30 lbs. and kept it off. I now eat healthy, but I believe everything in moderation. 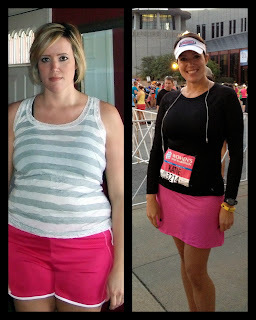 no doubt that I will get to my goal! that it takes dedication to stick with it, and perseverance to keep going. But it’s all worth it! accomplished something I never thought I could do! I have an identical twin sister and I have 8 brothers and sisters! Here are all the different ways you can connect with Katie! Thanks for sharing with us Katie!!! QOTD: Did you do anything fun this weekend? Is it warm or cold where you live?